Display devices expert ViewSonic has re-entered to home theater projectors market with two new overwhelming products. The company debuted in the Projectors market few years ago but could not impress the byers as expected to. 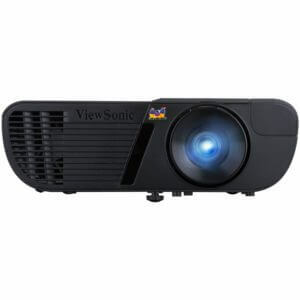 The ViewSonic has strongly came back with two powerful and tech-rich Full-HD projectors with reasonable price tags. ViewSonic PRO7827HD and PJD7828HDL has state-of-art technology under the hood and premium looking design to catch every HT enthusiast’s attention. Here is our ViewSonic PRO7827HD and PJD7828HDL review to explore how these two LightStream series Full-HD projectors stand against rivals. Though the earlier projector model PJD7822HDL was good at specifications, its conventional cheap looking box construction did not appeal the market much. ViewSonic is one of the most trusted brands when it comes to monitors and computer electronics. The company has proven records for innovation and reliable product quality. ViewSonic PRO7827HD and PJD7828HDL has no exceptions, both these products did not disappoint us with overall product quality and performance. The designs look premium, uses cutting-edge technologies, complete set of useful features and more interestingly, worth every cent. The premium model comes with Full HD 1080p native resolution with 2200 lumens brightness. Thanks to its SuperColor RGBRGB color wheel, the projector brings up more vivid and true-to-life colors on the screen, without rainbow effects for an ultimate cinema experience. The model also has ISF (Imaging Science Foundation) Certified Day / Night modes that brings optimized color in both dark and bright environments. Other than Day and Night modes, the model also has three more unique view modes to enhance viewing experience in any environment. Its innovative vertical lens shift feature allows you to easily place the projector on any table and focus to the screen. 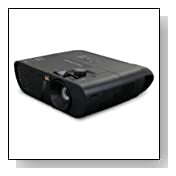 The projector supports up to 1.3x optical zoom for sharper and clear images. The PRO7827HD also has sRGB technology for HDTV color accurate. The device sports 1x HDMI and 2x HDMI/MHL ports. The discreet MHL/HDMI port on front side of the device lets you stream multimedia content from a wireless dongle. Other than HDMI port, you will find complete array of conventional input ports on the rear side, including USB. The low cost variant of LightStream series sports identical design and built quality, major difference being RGBCYW color wheel instead of RGBRGB color wheel. It also misses sRGB color space. However, the brightness (3200 lumens) is much higher than PRO7827HD to provide same viewing experience. The difference is noticeable, but still the image quality is up to the mark for a good home theater setup. Compared to the premium model, PJD7828HDL Full-HD projector misses one HDMI/MHL port on the rear and vertical lens adjustment as well. Overall, we feel ViewSonic Corp. has finally done enough homework to understand the needs of market and came up with a strong note. Both the products designed beautifully with premium quality material and looks, with powerful specification. 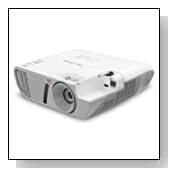 If you are tight on budget, we suggest ViewSonic PJD7828HDL over other brand projectors. Moreover, you are ready to spend little more for a superior cinema watching experience, ViewSonic PRO7827HD projector is highly recommended.